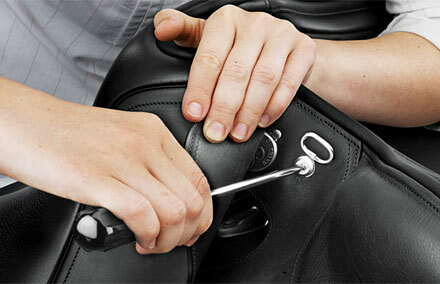 Custom fit your saddle to your horse’s changing shape in minutes! Together the EASY-CHANGE® Gullet System and the EASY-CHANGE® Riser System offer a total fitting solution for your horse’s absolute comfort and your peace of mind. All adjustments are measurable, symmetrical and completely reversible, ensuring total confidence in your ability to custom fit your saddle to your horse’s changing shape for optimal comfort and performance. It’s EASY! Select the optimal tree width for your horse's current shape and muscling. 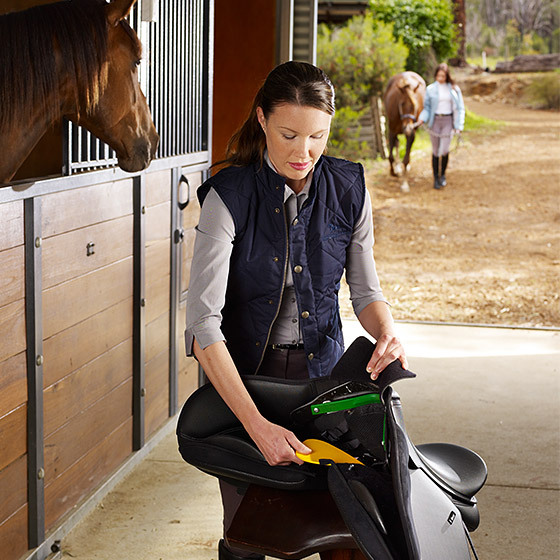 Make adjustments within the saddle panel for optimal balance and clearance.